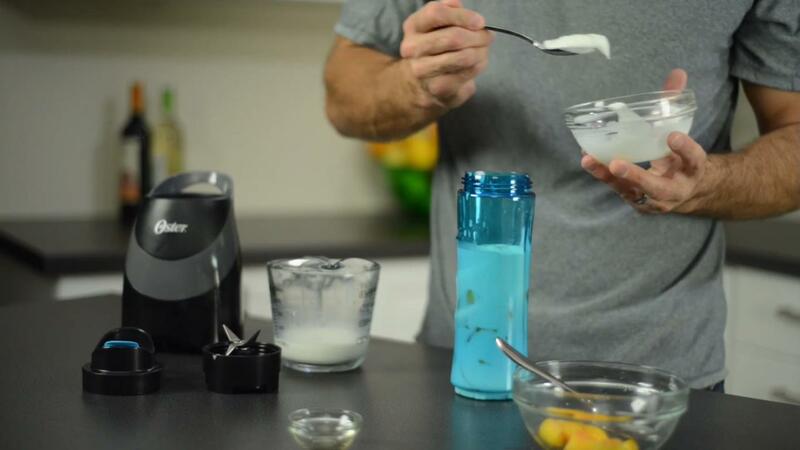 Grab your Oster® Blend'N Go™ My Blend® Blender sport bottle and start adding your ingredients. Begin with milk then vanilla, peaches and yogurt. Add the blender's blade attachment, screw on tightly, flip over, connect to the base and blend until smooth. Take the sport bottle off the blender base and replace the blade attachment with your sport bottle top. Then you're ready to sip and enjoy this rich, creamy breakfast smoothie. The best part of the Start Your Day Smoothie is that there's almost no cleanup required. When you make your smoothie, you're making it in the bottle you'll drink it from, so you can blend and head right out the door without worrying about doing dishes. Consider modifying this recipe by replacing your milk with almond or coconut milk for added benefits and a different flavor.